The Calais-Mediterranée Express was a luxury French night express train which operated from 1886 to 2003. It gained international fame as the preferred train of wealthy and famous passengers between Calais and the French Riviera in the two decades before World War II. It was colloquially referred to as Le Train Bleu. Today it is a grand restaurant worth every over priced penny, I mean Euro. 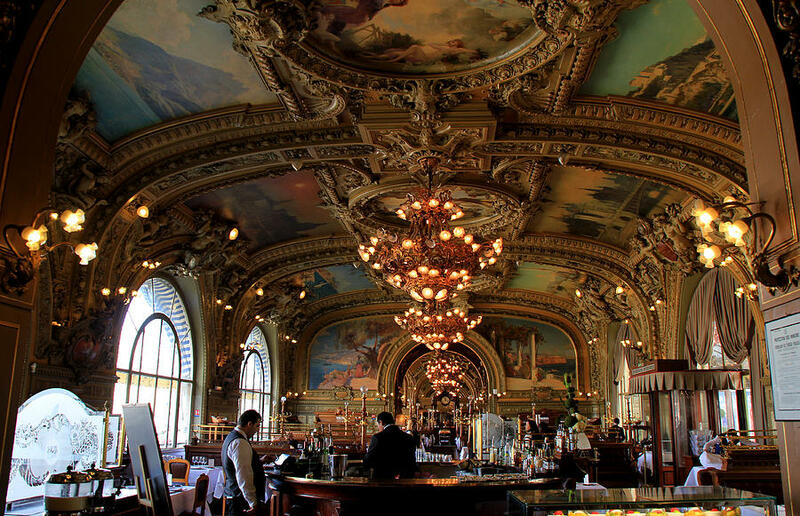 This magnificent restaurant in Paris should be saved for a special occasion. 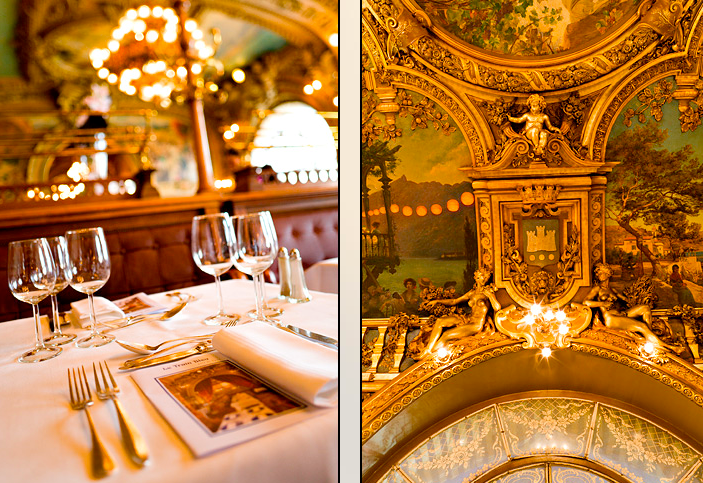 Luxuriously decorated in an Opera Garnier style Le Train Bleu (blue train) is a gourmet French Brasserie that serves traditional French cuisine in a historical location inside the Gare de Lyon. 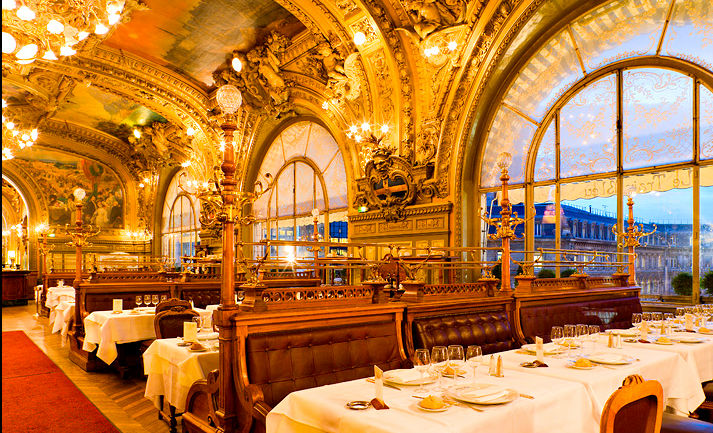 The restaurant, a historical monument, takes it’s name from the 1920’s “First Class” night train that shuttled wealthy French and British Passengers on it’s famous blue leather seats to the French Riviera. The original “blue train” was featured also in the Agatha Christy movie “The Mystery of the Train Blue”. Today this luxury train no longer exists, it was sadly replaced by airplane rides and faster trains like the RER. Le Train Blue is an expensive restaurant, but don’t let this dissuade you from paying it a visit. Even if you only go (to look) or for lunch or for a coffee and a dessert, make an effort to visit. It’s a must. Once inside the Le Train Blue, you will be transported to a bygone golden era of train travel as you stare in amazement at all the gilded painted ceilings and at the larger that life depictions of scenes from the south of France – scenes from areas that the old trains would service from the Gare du Lyon.